Boston hotel discounts help you save when you visit Boston for college and university tours. How much? Usually about 10%-20% - and you can find these savings at many of our top hotels. If you have a daughter or son who will be heading to college in a year or two, you can start your exploration of higher education with virtual college tours online - that's the best way to save on hotel cost! However, there's no substitute for conducting campus tours in person. Use the Boston hotel discounts offered to college visitors to save money while you can. After all, you're going to be paying tuition bills for a long time. Not all Boston hotels advertise their campus visit rates. Some colleges and universities make deals directly with hotels, so to get these rates, you need to call and mention the name of the school or provide other requested information. Keep in mind that you may find even better rates when you book online through discounters such as Expedia or Travelocity - so if you care about costs, you can save money by comparing. 2. Call the hotel to ask about the campus visit discount. Be sure to mention the college that you're visiting. If you want to book online on the hotel's website, check the college's website (usually under Admissions/Campus Visits) to see if they list corporate codes for booking hotel discounts. 3. Book the rate you like best! For each hotel listed below, you'll find a TripAdvisor link so that you can check and compare online rates from several discounters, and direct contact information for the hotel so that you can call. Hotels listed below are grouped by Boston neighborhood. About the hotel: Located across from Prudential Center and near Symphony Hall, the sleek Colonnade is one of Boston's top luxury business hotels; terrific rooftop seasonal swimming pool. Walk around the gorgeous reflecting pool at the Christian Scientist Church at the corner of Huntington and Mass Ave.
Campus visit rates: Yes - call and ask. 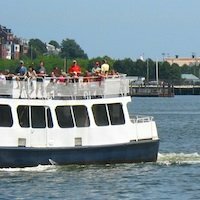 However, the Hilton Back Bay typically offers several discounts, including a 20% advance booking discount. Check online discounters also. About the hotel: High-end business hotel with very nice amenities including an indoor pool in a great location. Proximity to 2 different branches of the T's Green Line - take the B branch out to Boston University and Boston College in Chestnut Hill, or the E branch to Northeastern, Wentworth Institute of Technology, Harvard Medical School, and other Longwood Area professional schools. Campus visit rates: Usually slightly lower than the Midtown's already low rates - call and ask. About the hotel: Particularly for late fall and winter visits, it's hard to beat the Midtown's rates; the Midtown is one of Boston's true value hotels during the winter due to its modest profile in a neighborhood of luxury highrises. However, rates almost double in the summer; the Midtown has a small outdoor swimming pool - a rarity among Boston hotels. Closest colleges and universities: Northeastern University, New England Conservatory, Berklee College of Music; walk or take the T a few blocks to Mass College of Art, Mass College of Pharmacy and Health Sciences, Harvard Medical School, and other Longwood Area professional schools. Campus visit discount: Yes - but find out what kind of room, and then compare with online deals, as the Park Plaza offers a wide range of room sizes and usually a wide range of rates. About the hotel: The huge Park Plaza's location just a block from Boston's Public Garden puts you right in the center of Boston. Enjoy the restaurants surrounding the hotel. Closest colleges and universities: Emerson College, Suffolk University (take a shortcut across Boston Common to Beacon Hill). You can also easily walk to Berklee and Northeastern (slightly more than a mile), or take the T to Northeastern and other Fenway colleges. About the hotel: Luxury boutique hotel overlooking beautiful Commonwealth Ave, with a couple of excellent restaurants connecting with the lobby and other top restaurants nearby. Huge favorite with Boston University alumni and parents (book far in advance for alumni weekends and graduation), and also a short walk to Fenway Park. 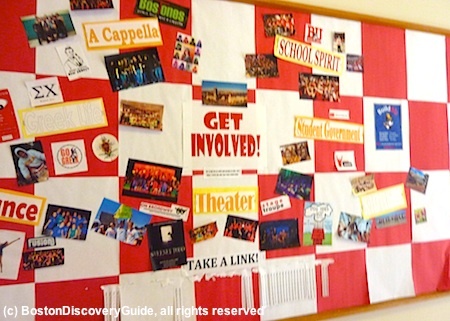 Closest colleges and universities: Boston University (walk or take the T, depending on what part of the campus you're visiting), Berklee College of Music, New England Conservatory, Boston Conservatory, Boston Architectural College. You can also easily walk to Berklee and Northeastern (slightly more than a mile). Emmanuel, Wheelock, and Simmons are slightly closer.